Day 6 was a real wild west kind of day. Starting in the small town of Magdalena we worked our way into the hills, passed old graveyards and tumbling tumble weeds. The headwind drove sheets of blinding sand and forced us to tie our bandannas in creative ways to protect our eyes. Literal tumbleweeds became stuck in spokes and on one occasion a gust of wind brought enough savagery to dismount us from our moving bikes. Fears that this was going to be a long day of short, wind-blasted miles dissolved once we moved out from the shadows of Hell's Mesa (actual name, look it up) and into the protected arroyos and valleys of the Mesa de Victorino and Salina Rio. After crossing the Rio we took our lunch at the (seemingly mostly abandoned) church pavilion at Riley. Riley is a real life ghost town, where the hundreds of years old buildings are being slowly consumed by the desert. It was extra creepy. We would pick up the climbing through really interesting, dynamic terrain and very high winds through the gravel climbing out of Riley. 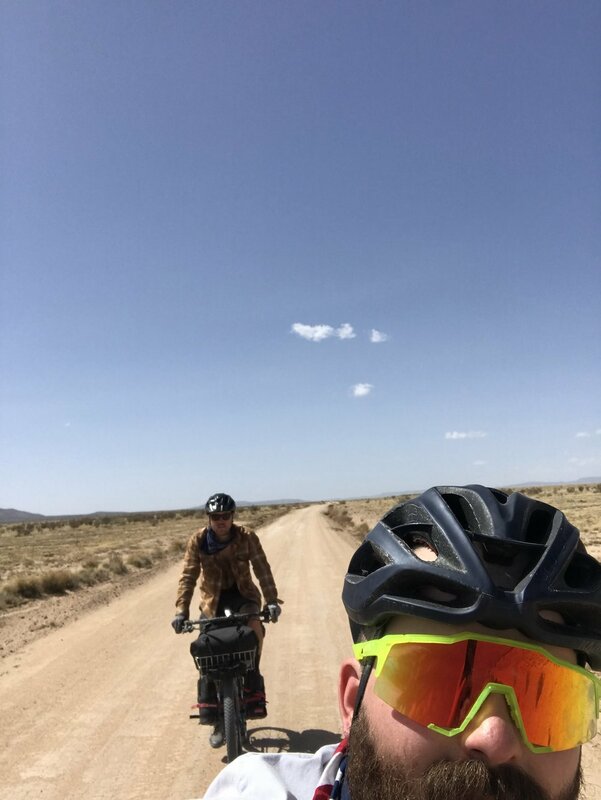 Coming out of the Sierra Ladrones was a breeze and we were treated with a long 2 hour descent through dirt devils and sandstorms on pretty smooth gravel down to a really interesting truss bridge by route 60. Loneliness. That's the term I would apply to the first half of the day. Not in an altogether bad way but in a somewhat haunting way perhaps. Even with two close friends near by it crept into the corner of my mind. 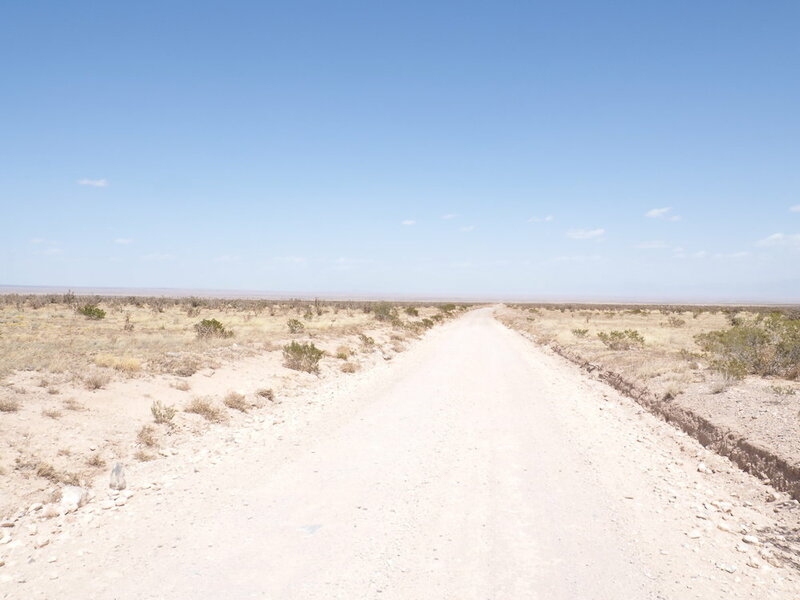 The wide open spaces, the tumble weeds, the ghost town, the dirt devils, it all conspired to make the land become a feeling. If there are spirits in the wild deserts of NM I felt them on with me on roads of the Sierra Ladrones. From there the wind was at our backs and we hammered out what quickly become apparent was going to be a huge day. We got to our chosen camping spot by early afternoon and the really nice and helpful owner at Micah Market near Boy's Ranch got us resupplied by around 3pm. Instead of pitching tens behind the market as planned we ended up making it to another section of Cibola by dark. We made camp nachos and celebrated our achievement. Day 7 low point - wind. Day 7 high Point - dirt devils on the descent or the Micah Market.